Far and away the most flavorful DC I've smoked. Exceptionally complex and wonderfully elegant in presentation and overall cigar construction. Just a delicious cigar. Honey and dried fruit from the start, becoming more rich and pronounced through the second and third stages. If I could smoke only one cigar for the rest of my life I would be happy with this one. Always hard to sum up a puro for all you folks ! Yet, this one could be described as something between the Punch Double Corona and the Hoyo Double Corona in rather strong and less aromatic than the Punch. 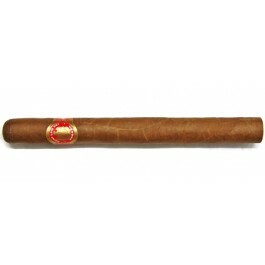 Beside this, it's the strongest Prominente and pretty much heavy in Cuban cigars : it's one of my ultimate ! Medium body and great taste. Starts light and progresses to a very enjoyable taste and aroma. Try to get them aged. This cigar has the classic feel and look of a Cuban cigar, including the taste and disttinguishing scents that will quickly set it apart from just about any other cigar that doesn't possess its long and esteemed heritage. The only problem I encountered while smoking the cigar I used for this review was the tight draw. I have smoked this same cigar on numerous other occassions and have never had that problem. Even though many Cuban cigars had draw problem in the past eight to ten years, once acknowledged, steps were taken to correct the manufacturing process and eliminate the trouble. Don't let that stop you from enjoying this monster of a great cigar, just waiting to please your palate. It is really a mouthwatering delight of Cuban goodness.